Welcome, I am a graphic artist. I love to learn new things and am curious about stuff. Come back and visit often and leave me comments on things you find curious. 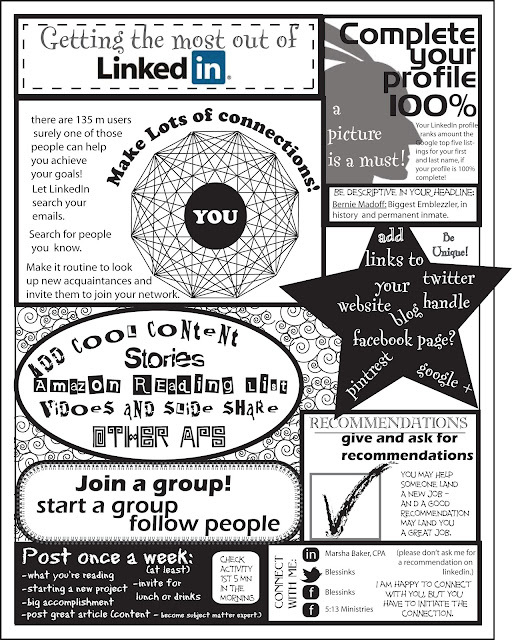 Here's a quick infographic on how best to navigate LinkedIn to your best advantage. I made this for my students. Let me know if you have thoughts on how I can make this better. Nice! I joined but never did anything with it. Later I read that it was one of the most common ways for identity thieves to get your info. Not sure how that works but it's scary to think about! Welcome! Just getting started here, - we're under construction, so come back often and leave comments and suggestions to make this a great blob.